It is alway difficult trying to find the best combination of branded products when formulating a new marketing campaign. With increasing budget constraints in todays world it is more important then ever to find the right assortment of products which will give you more mileage. It is also important to pick items which will make your brand standout. For a promotional product with a difference, a branded Short Strap is a cost effective way to get your brand out to potential customers and consumers. 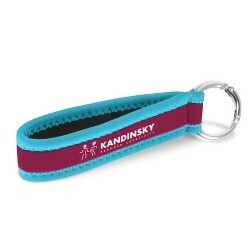 A promotional short strap is very similar to a lanyard, yet as the name suggests it is shorter in length. It can be used in many different situations, including as a keyring, combined with a bottle opener or a bottle holder and added to a carabiner to allow for easy carrying of keys and other items. Our branded short straps come in a range of styles and colours, and can all be printed with your logo or promotional message. Our Carabiner Short Strap is popular with those in the leisure industry as it is a great product for customers to clip their keys to, keeping them safe inside a backpack or sports bag. Our Short Strap Bottle Holder is a popular option again with those in the leisure industry as well as those in the sporting fields. These handy short straps allow users to clip a drink bottle to their bag providing easy access with less chance of losing the bottle while out and about. 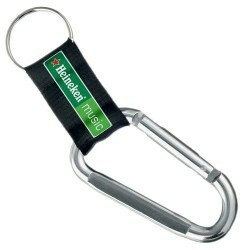 The Bottle Opener is a great promotional choice for those in the beverage industry. 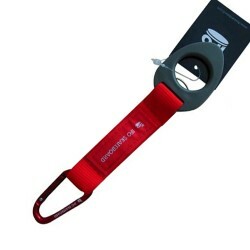 These bottle opens are attached to a short strap and look great when printed with a logo, and are a handy little giveaway item when you want to promote your current drink range or are releasing a new range of drinks. Businesses in the sports industry have been loving our O-Ring Neoprene Short Strap. This is a great one for any sporting team where water is involved. 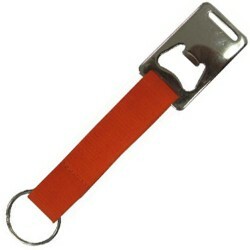 These easy-dry short straps are great for holding ID cards or attaching event tags to. They are also inexpensive and can fit into any marketing budget. Finally, our Felt Short Strap and Polyester Short Strap are great all round items for any business. 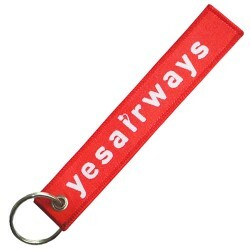 Use them to promote your business as luggage straps or key rings – they look great with a solid logo print, and like all of our short strap range, will help your business stand out. One of the great things about using short straps as a promotional item is that it goes everywhere – it isn’t confined to use in the office like a USB, and it isn’t confined to use in the car like a travel mug; a short strap can be attached to anything and taken everywhere from the office to the shops to your customers’ next international flight. Simply put a they can give you wider promotional and marketing opportunities than many of your other promotional tools. 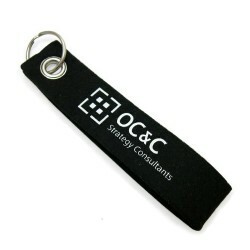 For a handy little promotional item with a difference, a branded short strap is the way to go.